NBA – On July 1, 2017 as soon as the 2017 NBA Free Agency kicks off the defending champion Golden State Warriors did not waste any time re-signing their franchise player and 2 time MVP Stephen Curry giving him the richest contract in NBA History of 5 years, $201 Million. Curry is the first player to sign the supermax contract thanks to the NBA and the new television deal with ESPN and Turner Sports. The deal on Curry marks the status of supermax contract in the NBA and on the same day where Curry got his richest contract Blake Griffin quickly followed after re-signing with the LA Clippers in a 5 year deal, $173 million. Griffin is the 2nd player to sign a supermax contract. Gordon Hayward also made it to the list of supermax contract after signing a 4 year deal, $128 million with the Boston Celtics. While the massive contract of Stephen Curry’s seems no longer be beaten in this year free agency for the richest contract, but On July 8, 2017 the Houston Rockets and James Harden agreed to sign a four-year deal, $228 million contract extension, which surpass Stephen Curry's own richest contract in NBA history that holds only for a few days. For now Harden may look like he will hold the record for at least a year not until LeBron James becomes a free agent in the 2018 Free Agency. Speaking of LeBron James, who top the highest salary of the 2016 – 2017 NBA Season after 14th season in the NBA will take a sit back for now as several players this coming season will be ahead of him for the highest salary, but will surely get’s back in the 2018 Free Agency when he became a free agent if he decided to opt-out in his Cavs contract and for sure he will get his own supermax? The question is will he be the richest contract in NBA history? Let’s wait and see in 2018. 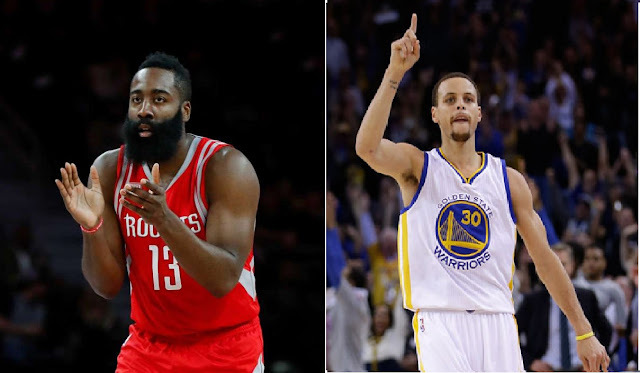 No Comment to " James Harden Tops Stephen Curry’s Richest Contract "